There are two Public Houses within the village boundaries. 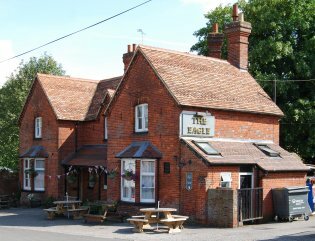 The Eagle Public House is located in the centre of the village opposite the old school and run by Alan and Kate Wingate. 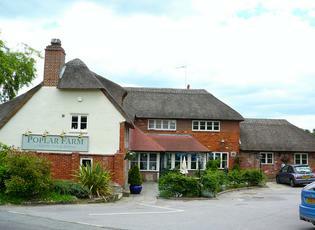 The Poplar Farm Inn located on the boundaries at the junction of old Salisbury Road on one side and the A343 main road on the other. The Poplar Farm was originally two farm labourers cottages. They were brought by Charlie Bowyer and family who were builders by trade and they converted the two cottages into one. The picturesque surroundings provide the perfect backdrop for savouring the hearty, seasonal pub-food on our menu, and the carefully nurtured cask ales and fine wines gracing our bar.